When on your next business trip, family vacation, or event, allow Hawaii Car Service to cater to your needs in an extravagant vehicle to a hotel of your choice. With our high-end vehicles and distinguished service, we aim to please the highest of royalties. Have us as your chauffeur and we will happily bring you to your desired destinations. You shouldn’t have to worry about how you’re going to get from a business meeting to the extravagant dinner, you should only be enjoying it. This is paradise after all. We understand this is a simple luxury, but a necessary one at that. You shouldn’t have to worry about how you’re going to get from a business meeting to the extravagant dinner, you should only be enjoying it. This is paradise after all. We understand this is a luxury that is looked over, but a necessary one at that. Trump International Hotel is the only Forbes Travel Guide Five-Star Hotel in Waikiki and the entire island of Oahu. Trump is a premier hotel that offers their guests luxury guest rooms and suites. Infinity pool and world-class indoor and outdoor dining are included. 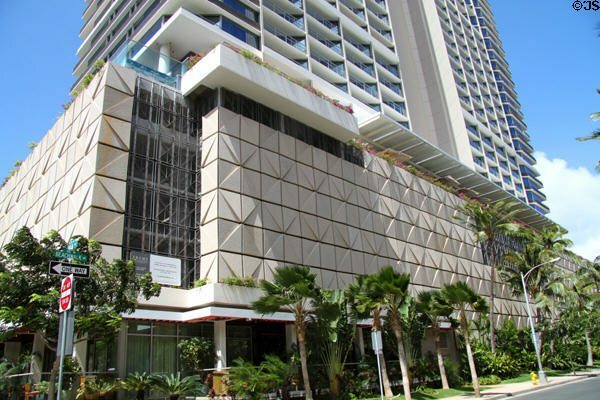 The hotel is thirty-eight stories and four hundred sixty-eight rooms of luxury for all of its welcomed guests. 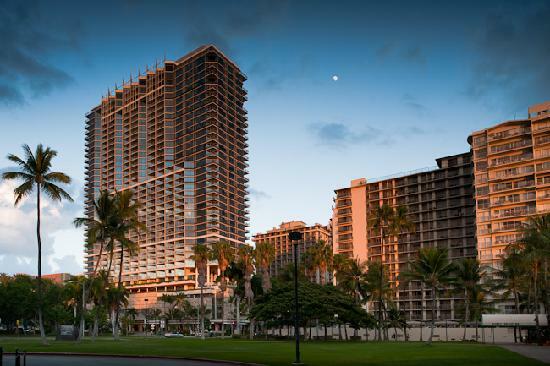 Trump International Hotel is known for its superior service and adds the touch of Hawaii’s culture so that you may have an experience to remember. When you visit Oahu, luxury, comfort, and relaxation are expected. Get pampered as soon as you leave your long flight and step into one of our luxury transport cars. Rest assured, the car ride from the airport to the Trump International Hotel will be enjoyable and comfortable. Even if Hawaii traffic sets you back by a few minutes, don’t fret! Sit back, and enjoy some chilled complimentary water and relax. Take in the scenery of Waikiki. Whether you fly in morning or night, Waikiki is a sight to see. All of the world class restaurants, exquisite entertainment, and the vibrant white sandy beaches are sure to keep you busy.